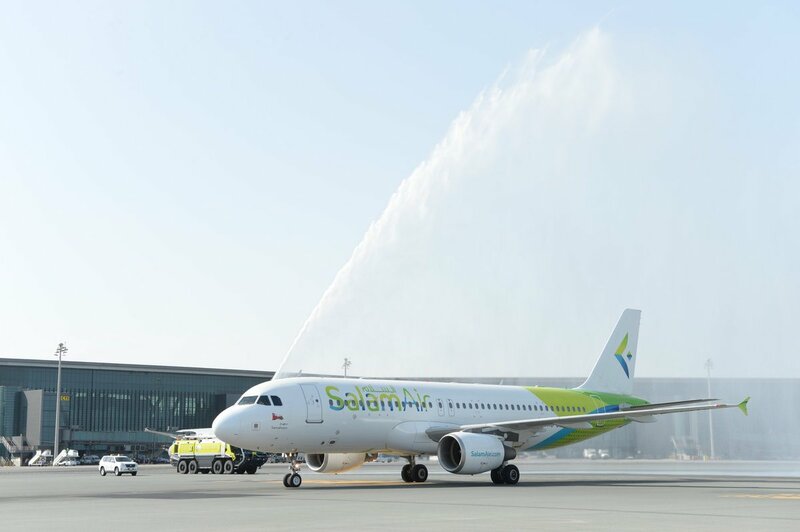 Today the new Omani low-cost carrier SalamAir launched flights from Muscat to Doha’s Hamad International Airport. The airline operates a fleet of Airbus A320 aircraft featuring an all economy cabin of 174 seats. 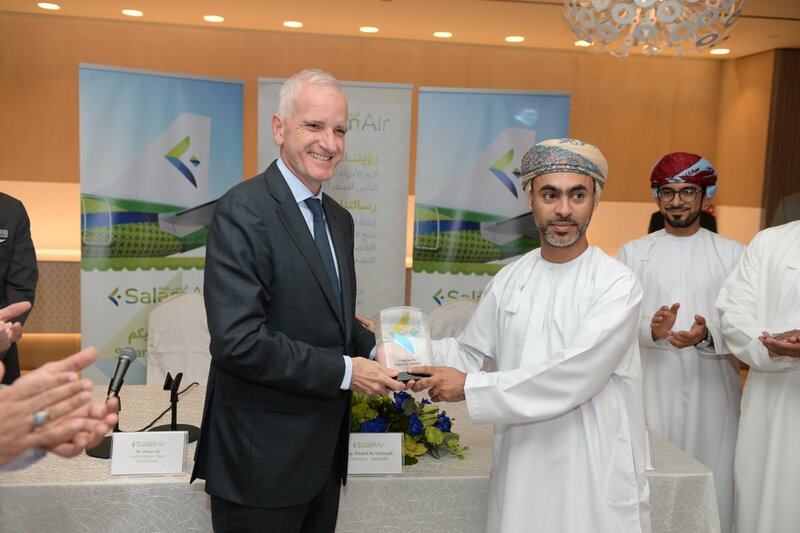 The airlines CEO went on to explain that as a young airline, SalamAir enjoys the advantage of flexibility which allows it to shift and adapt its services to cater to demand. 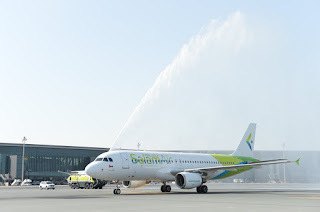 To date, all SalamAir destinations have been determined by what guests want and as a result, the airline operates successful destinations including Salalah, Suhar, Dubai, Medina, Jeddah, Sialkot and Karachi. 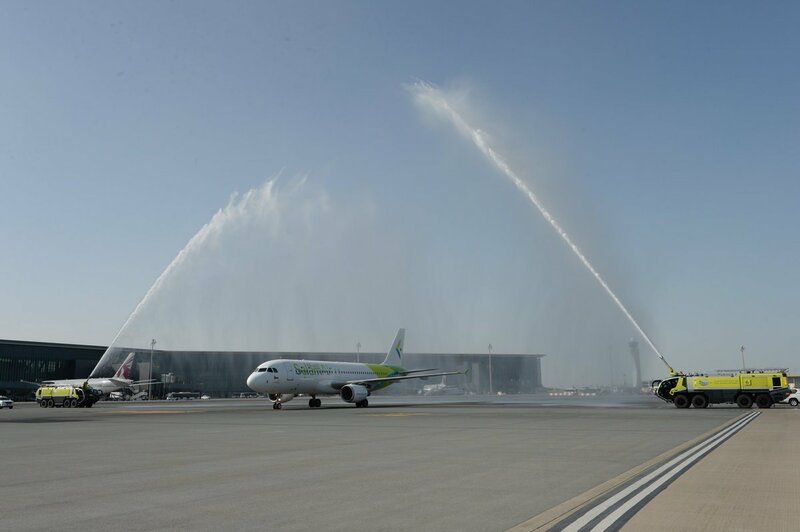 The new Doha service will operate 5 times a week and the inaugural flight was welcomed with a traditional water cannon salute followed by a press conference and warm friendly smiles!